Wow, great photo. I suddenly feel the urge to plan a vacation. Cool picture. Makes me think of Lord Of the Rings when they are all in the boats! I so much want to visit a place like that right aboutnow. Lovely shot. The view is absolutely serene. beautiful picture. is it actually a photograph and not photoshopped or anything? Wow...I'd love to be in that picture. Every once in a while I get to a WW entry, and I pause with an "ooooooooooo." This is one of those times. Great shot! Beautiful! Thanks for sharing and Happy WW. 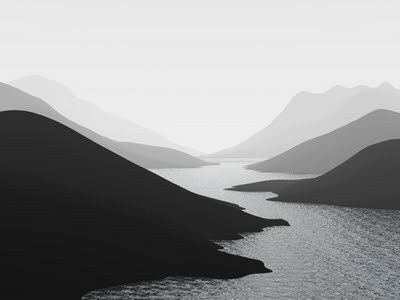 This is beautiful, reminds me of Ansel Adams work. I love this! Very beautiful. Beautiful and breath taking shot. Great photo. Where was it taken? I love back and white photography!Beautiful!!! !